New trailer and Egoist tie-in. Deemo Reborn will launch for PlayStation 4 in Japan in spring 2019, publisher Unties and devleoper Rayark announced. Deemo Reborn is not just a remake of the original; this new version adds even more gameplay elements, new voice acting, more cinematic cutscenes and PlayStation VR support. As a little girl who finds herself lost in a magical castle, players will unravel the mystery of Deemo and this fanciful world. The detailed scenery and exploration elements invite players tol dive deep into the mystic world through puzzle solving and Deemo‘s signature musical gameplay. The Rayark team has been hard at work on bringing this new vision of Deemo to life. The classic exploration elements are all here, but the team wanted to raise the bar when it comes to quality and has spent countless hours redesigning the in-game scenery and items. 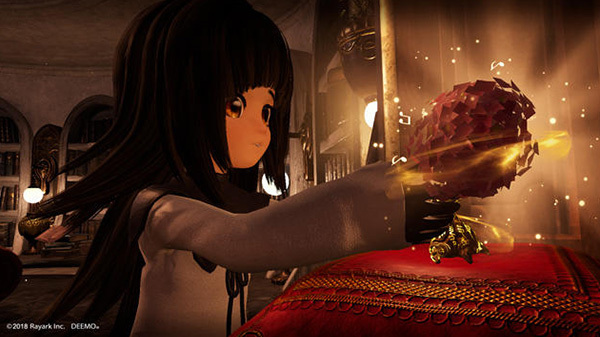 Whether playing on your TV or as an immersive experience with VR mode, players will be able to feel as if they are part of Deemo‘s strange and wonderful world. Deemo Reborn will also have the virtual music group Egoist produce its main theme and other in-game songs. Egoist is a renowned Japanese music group produced by supercell’s ryo and was originally formed for the anime Guilty Crown. The group’s main vocalist, chelly, was selected from an audition with around 2000 participants. As of now, every album and single released by Egoist have reached top 10 in the Japan Oricon charts. Watch a new trailer below. View a new set of screenshots at the gallery.